Buffalo Trace uses the finest Kentucky and Indiana corn, selected rye and superior malted barley. The liquid is gently aged in new American oak barrels to create a perfectly balanced flavour of sweet, oak and spice, leaving a long, smooth finish. Crafted at the world's most award winning distillery, Buffalo Trace comes from a long line of history. 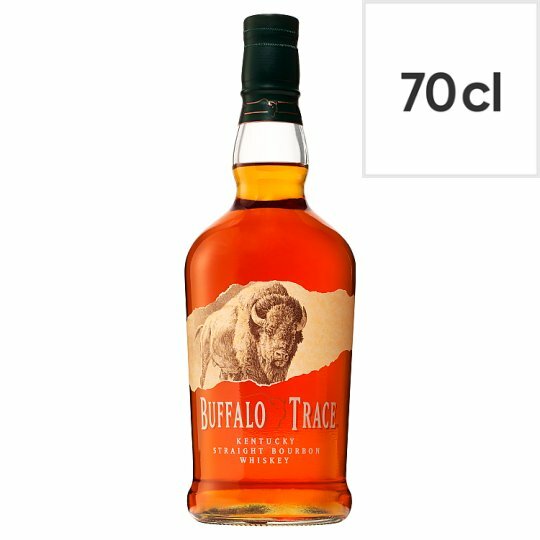 For over 200 years the Buffalo Trace Distillery has been defined by a dedication to one craft: making fine bourbon whiskey. Let us hear your thunder!